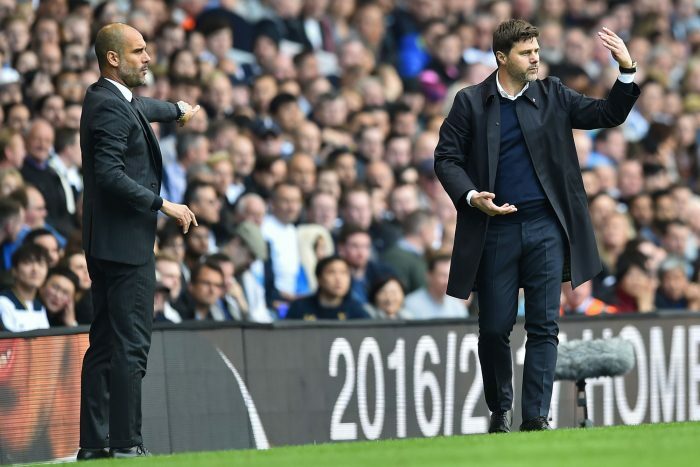 Manchester City are hoping to keep their quadruple hopes alive when they face Tottenham on Wednesday. Pep Guardiola is confident his team can knock the Spurs out of the Champions League and reach the semi-finals. City have been favourites heading into the tie, with many experts tipping them to win the competition for the very first time. Argentinian Aguero was seen limping during City’s win over Crystal Palace, but since then Guardiola has eased any fears, confirming he is fit to play. The Spurs take a slender advantage heading into the clash. Son Heung-min’s second half goal was enough to give Spurs the victory in the first leg, meaning City will need to be on top form to progress against their Premier League rivals. Last week’s victory saw the clubs equal for the total number of wins in this fixture, with both sides now sitting on 61 each. Pep Guardiola’s side have history against them and will need to do something they have never done in the past – beat an English team in a European competition. Tottenham are in control, and there is precedent for Tottenham to pull it off with their draw result with Barcelona. However, they will be without star player Harry Kane for the second have of this tie due to injury. Furthermore, the Spurs have lost six of their last seven away matches, with their only win in that run coming at Borussia Dortmund in the Champions League. Yet, the Spurs have won five of their las six Champions League matches, so City will have their work cut out for them. 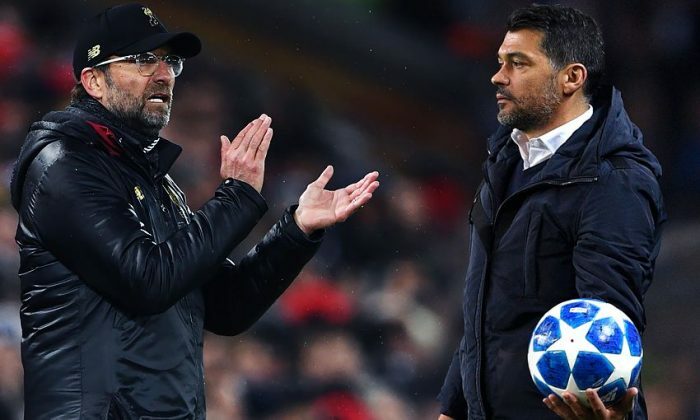 The Liverpool side facing Porto have progressed from all nine of their previous two-legged European ties under manager Jurgen Klopp (four in the 2015-16 Europa League, one 2017-18 Champions League play-off and four Champions League knockout stage ties since the start of last season). Liverpool will be riding a wave of confidence coming into this match following their 2-0 win over Chelsea on Sunday. Meanwhile, Porto will be trying to overcome their first leg 2-0 deficit to reach the semi-finals for the first time since winning it in 2003/04. Liverpool have a comfortable two goal cushion, so Klopp might rotate his players. The Merseysiders will know that an away goal would likely see them through, as it would leave Porto needing to put at least four past the Reds’ goalkeeper Alisson. The two sides met in the Champions League round of 16 last year, which saw Liverpool come out with an incredible 5-0 victory at the Estadio do Dragao. The Reds have never failed to progress in Europe on the 12 previous occasions they have won a first leg 2-0, while Porto have not been able to overturn such a deficit on the four times they have faced it. Liverpool stand one point off their best-ever Premier League tally with four games remaining, and the Reds have also never lost a European match against FC Porto in seven previous encounters (W4 D3 L0), keeping three successive clean sheets against them. Nonetheless, Porto are the only remaining side in the Champions League to have won 100% of their home games in the competition this season. So, Porto will need to start off strong in order to score at least 2 goals to have any chance of progression. Next articlePREVIEW: Barcelona vs Man United – Another Miracle?